What happens when you start to prepare your own foods instead of buying them? An indescribable happiness invades you. We all know that is impossible to make everything at home, and obviously everyone should make their own choices. You can choose depending on the difficulty to find a particular product of the highest quality in the market, considering how easy it is to prepare it, having in mind the money you are saving or to put it simple, because of the personal gratification involved in the preparation. 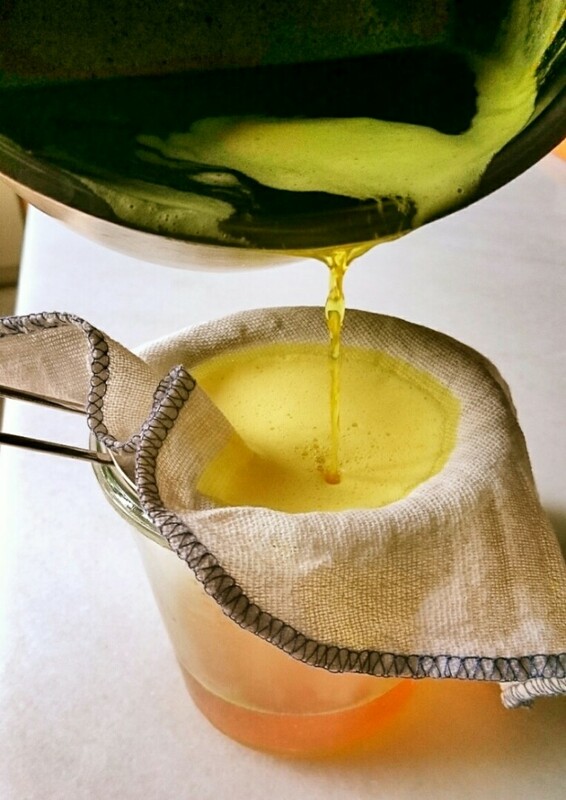 The ghee is perhaps a mix of all of them: it is easy to make, it only needs one ingredient and the savings are quite considerable. 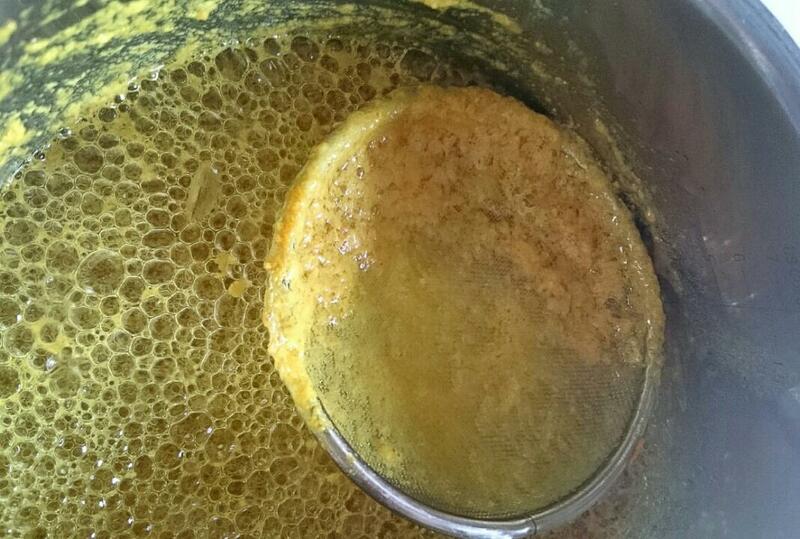 But first of all: What is the ghee? 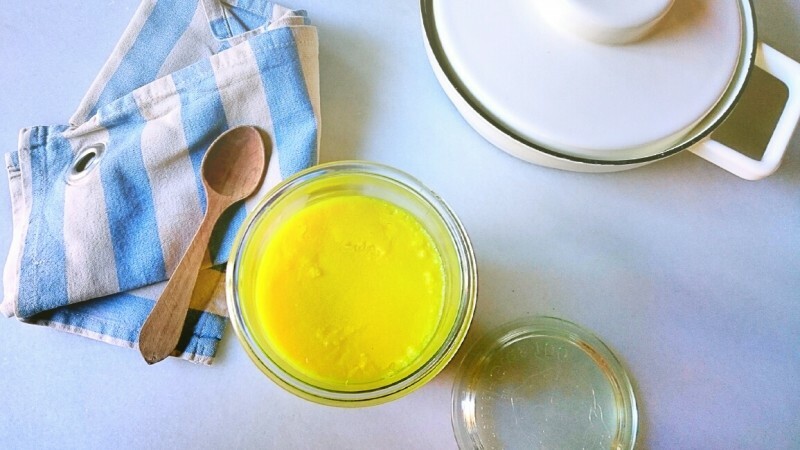 It basically consists of clarifying butter, which transforms it into a food with innumerable properties and one of the best fats to cook at high temperatures (stir fry, bake…) without getting oxidized and burnt. 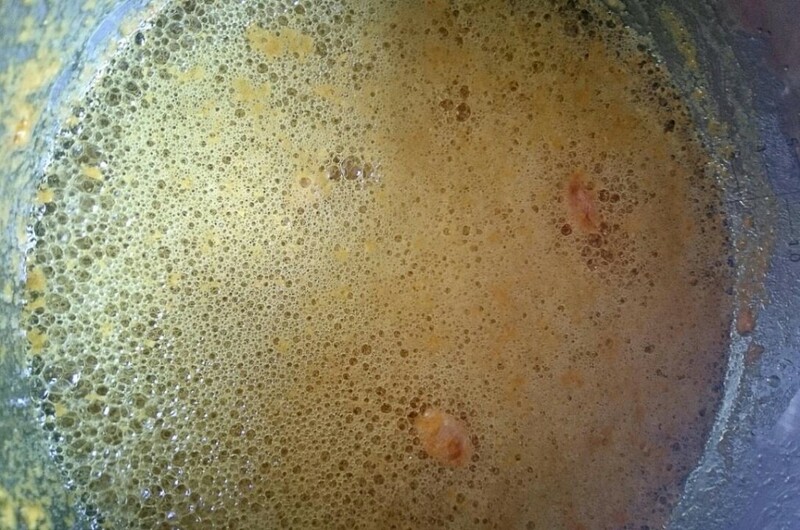 That is, as your extra olive oil is NOT the healthiest oil if you heat it a lot as it gets oxidized and is not good for you, your perfect ally in this sort of situations is the ghee. The most important thing to keep in mind is that the butter should be organic and of the finest quality. Its Indian origin is as old as time and it is known in the Vedic literature as “gold liquid and holy food”. It nourishes the brain (an organ that needs good fat! ), it has a lubricating effect on the nervous system and favours the mental stability. 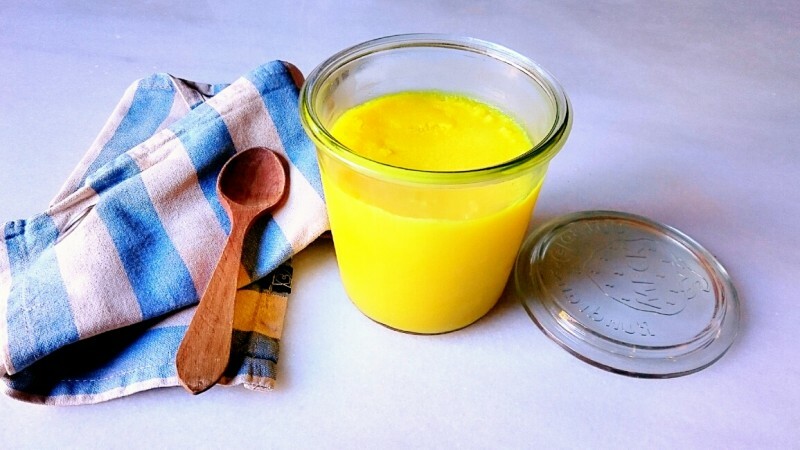 It promotes digestion and the absorption of minerals and vitamins of every food accompanied by ghee. It is a natural antioxidant and provides energy. And as it is pure fat, proteins like the lactose and the casein are not present and therefore, it is a suitable food for people with lactose intolerance. And don´t forget its delicious taste. The other day, I even used it to make a very simple spelt dough and the texture and taste were absolutely amazing. If you are going to make it for the first time, I would recommend you to make it without spices to let yourself be guided by the colour and smell. With spices its digestive power increases considerably (“ghee gruta”): black pepper, clove, cumin or fenugreek, besides the cardamom and the turmeric. Try it and it will change your life! In a ladle with deep bottom and a bit of height melt the butter and add the turmeric and cardamom previously broken. Prepare a bowl with a skimmer, and a glass pot (very clean and dry) with a strainer and a gauze or a thin cloth above. When it starts boiling, reduce the heat to the minimum. The first froth with small and sparkling bubbles will appear on the top. Remove the impurities with the skimmer. Remember not to stir. When the froth starts to look like a fluffy froth which is going up, you will be close to the end and so, try not to lose sight of it. You can still remove some of the froth, but remember that the most important thing is getting caught up in the smell of freshly baked croissant and check out how the froth is going down so you can see the toasted particles at the bottom of the ladle. Remove the ladle from the heat so it doesn´t get burnt and strain it. The colour must be amber. Let it cool down at room temperature and cover it when it is cold. If you keep it at room temperature, it will last out for about 3 months and even for one year if you keep it in the fridge. I usually keep it outside, except in the summer when I am used to keeping it in the fridge.